In 1984, a group of concerned parents were looking for Infant and Toddler care and could not find any in Waterloo Region. They were dedicated to their children and decided to establish a daycare to cater to infants and toddlers. One of the co-founders of WTIDA is Jane Mitchell who found Gloria Simmons, an ECE teacher and both set to work bring WITDA to life. In July of 1986, the property at 368 Erb Street W. came available. Gloria and her husband Keith sold their current home and moved into the house on Erb Street. They had to sell their home in order to afford the down payment for the centre as the bank would not lend money to the Daycare Association. At the back of the property they started building the new centre. There were a few families that really helped to get the Centre under way. Jane Mitchell’s mother loaned money to Waterloo Infant Toddler Daycare Association so they could build the new centre. While the Centre was being built they took a few children in to their home but after a few months they moved to St. John’s Lutheran Church for 5 months. They were then on the move to Waterloo Pentecostal Church until the construction was finished at the end of March. In April of 1987, they moved in to the new centre and began accepting more children. The centre was originally licensed for 10 infants, 10 toddlers and 16 preschoolers. Gloria was the original Supervisor from the conception of the centre to September of 1990. At that time, Gloria left and Audrey Pagett filled the role of Supervisor until February of 1992. Bonnie Aultman took over as Supervisor in March of 1992. In Bonnie’s long career as Supervisor she has increased the centre’s reputation and increased enrolment from 36 to 96 children. From 1992 to present, the centre has gone through many physical changes. In 2003, WITDA moved off the property to build a new centre. In June of 2003, the First Baptist Church graciously let us move in for one and half years while the new centre was being built. In December of 2004 we all moved back in with 1 infant program, 1 toddler program, 2 preschool programs, 1 kindergarten program, 1 school age program and a new ½ day Nursery School program; for a total of 105 licenced spaces and 22 staff. In 2013 with the introduction of full day kindergarten, WITDA was forced to rethink how to offer care for young children. July of 2013 was the last time we were able to offer kindergarten and school age programs. We renovated the lower floor to offer part time Toddler and Preschool children. The success of the part time program has increased the staffing to 24 full and part time Educators and staff. In 2016 WITDA took on a new adventure to offer summer camp for JK and SK children over the summer months. In April of 2016, WITDA and St. John’s Nursery school teamed up to work together to offer this summer program. WITDA will run and operate the camp out of St. John’s Nursery School. This is the first time that two outside organizations have come together to put together a new program. This summer camp program will run for 8 weeks each summer and has the capacity for 68 children. 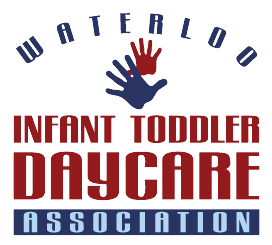 Over the last 30 years Waterloo Infant Toddler Daycare Association has made a great name for itself in how they deliver care for the very young people in Waterloo Region. WITDA is very proud of all its employees who have come through the doors. Each and every person has contributed something special and unique to make WITDA a fantastic place to work and for families to bring their precious children. Thank you to all who have made Waterloo Infant Toddler Daycare Association the place it is today.